MAKE YOUR ECHO PLUS PORTABLE: Enjoy your music away from the power outlet. MADE FOR AMAZON: Designed and tested as part of Amazon's Made for Amazon Devices Program. EASY TO USE: Attaches effortlessly to the base of the Echo Plus without tools. EXTENDED BATTERY LIFE: The integrated battery lasts for up to 5 hours. 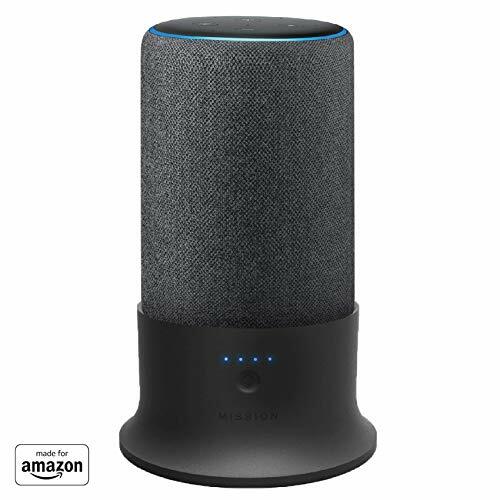 NOT COMPATIBLE WITH THE AMAZON ECHO OR THE 1st GEN ECHO PLUS.